Introducing the exquisite collection of sophisticated bridal accessories and jewellery from Chez Bec, specialists in handmade pearl and crystal pieces to create the perfect finishing touch for your special day. We understand how important it is to get every detail absolutely right, so we specialise in working with brides to achieve the look that they want – from contemporary to vintage, statement to understated. We’ve made jewellery and accessories for beautiful brides for more than ten years now, and helping them to realise their dreams makes us very happy indeed! Our brand new collections are now available. Every piece is lovingly handmade in the studio, and we are committed to using only the highest quality freshwater pearls, and Swarovski beads and crystal pearls in all our jewellery and accessories so you can be 100% confident of the quality of craftsmanship. Choose your look from the award-winning Chez Bec range, whether you are looking for a handmade piece with Swarovski crystals, vintage bridal jewellery, a perfect pendant, a divine necklace, a pretty pearl bracelet or a beautiful pair of bridal earrings. All of our handmade jewellery is created by our talented designer, Tanya, in her studio beautifully positioned in the converted stables on the Hylands Estate, near Chelmsford in Essex. We are also open to the public, so you are most welcome to visit us and browse our collection. This is also a gorgeous wedding venue that will take your breath away. Tanya’s jewellery skills are also in evidence on our fabulous hair accessories which can be set with the finest freshwater pearls and Swarovski crystals. 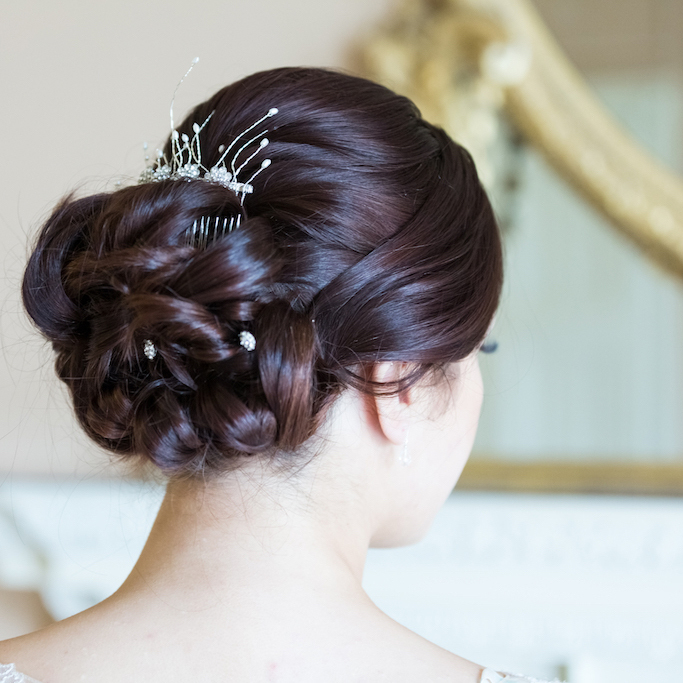 We love creating bridal hair accessories from wedding hair pins, vintage hair combs, bridal vines and tiaras, to wedding hair flowers, and we have a special something to suit every bridal style and budget. Want to give one of our pieces as a gift? We are on hand to offer advice, and you can rest assured that all orders are hand-wrapped in beautiful luxurious gorgeous Chez Bec packaging, so every order receives personal attention, love, and care. You will be proud to give one of these as a gift, and no doubt will be delighted by the response. Exclusive to Chez Bec is a stunning range of handmade silk wedding hair flowers perfect for an English Country Garden wedding. There’s no danger of our stunning silk roses wilting in a hot British summer… (our hair flowers would be great for a destination beach wedding too!). Hand finished, our silk roses and wedding flowers can be mounted on to a comb, alligator clip or headband, to give you the most versatility when styling your bridal hair. Please enjoy browsing our site. Our designer and director Tanya loves to work closely with brides to create bespoke pieces, something that is exclusive to them, completely personalised and a beautiful and much-cherished piece as a memory of their very special day. Tanya is also able to assist with engagement rings, wedding rings, commitment rings and eternity rings through her sister jewellery company TLK Jewellery. Why not call her an make an appointment today? Contact details below. We can’t wait to hear from you!